By John and Sandra Nowlan. 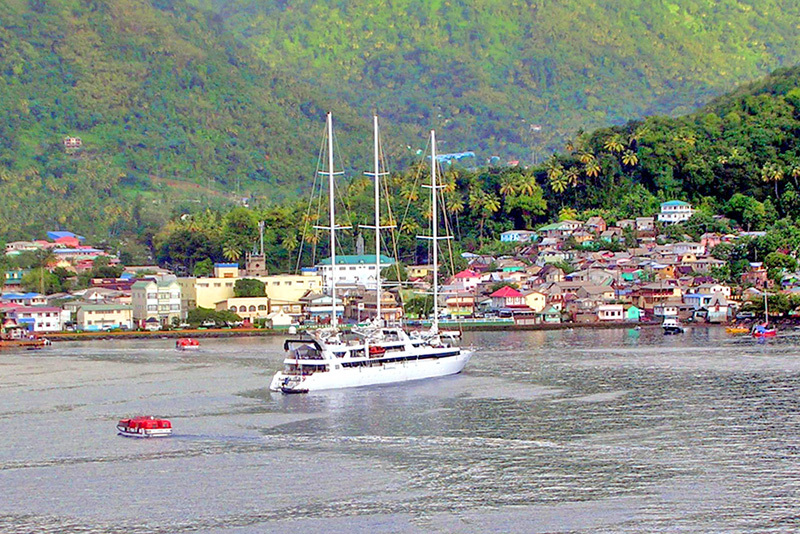 Saint Lucia, the remarkable southern Caribbean island in the Windward Island chain, is a popular cruise ship stop. For a few hours visitors can tour the steaming, bubbling drive-in volcano and view the steep and sharply pointed twin seaside mountains called the Pitons. But the former French, then British, colony is even more rewarding with a longer visit. Over four days we stayed at two unique St. Lucia accommodations, couples-only romantic resorts, toured three others and enjoyed some of the best cuisine in the Caribbean. Our first stop was at the all-inclusive Rendezvous Resort, on the west coast just north of the St. Lucia capital, Castries. This locally owned boutique hotel recently celebrated its 50th anniversary but has kept its charm and high level of service. Best of all is its location on Malabar Beach, a two-mile stretch of pristine Caribbean sand, with seaside cottages and low-rise buildings spread among a well-maintained tropical setting. There are three pools and an excellent spa. 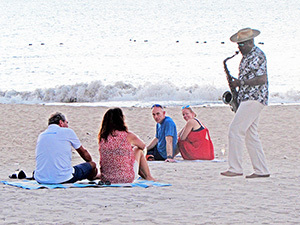 The concept seemed to work because we saw couples chatting together, swimming together or enjoying champagne together in the nightly tasting room or on the beach at sunset with saxophone accompaniment. Togetherness was also the theme at our second accommodation, the Ladera Resort near St. Lucia’s original capital, Soufriere. The resort is situated in a spectacular setting, high on a ridge between the two Pitons. The 37 suites all face the twin mountains (a UNESCO World Heritage site) and the open sea. But each has just three walls with one side wide open allowing a unique bonding with nature. The huge rooms and bathrooms (the shower was big enough to hold five) include mosquito netting around the king size bed and locally made furniture, beautifully carved. Every suite has a private plunge pool, particularly enchanting at night when it’s totally dark and you can gaze up at the carpet of brilliant stars. 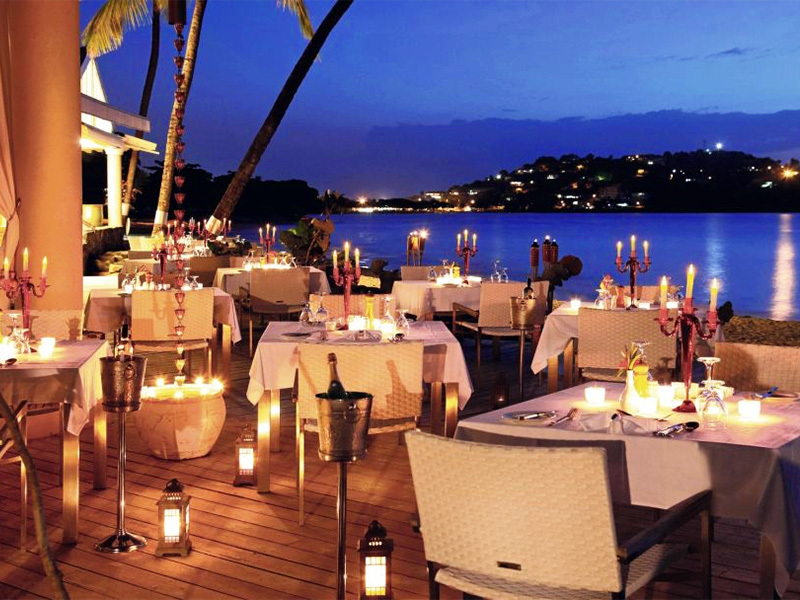 Those needs include Dasheene, a fine open-air dining room with local specialties including very fresh fish. On one morning we ordered room service breakfast, a wonderful way to watch the sunrise illuminate those amazing St. Lucia twin peaks. We were curious about other island accommodations so we visited three interesting properties. 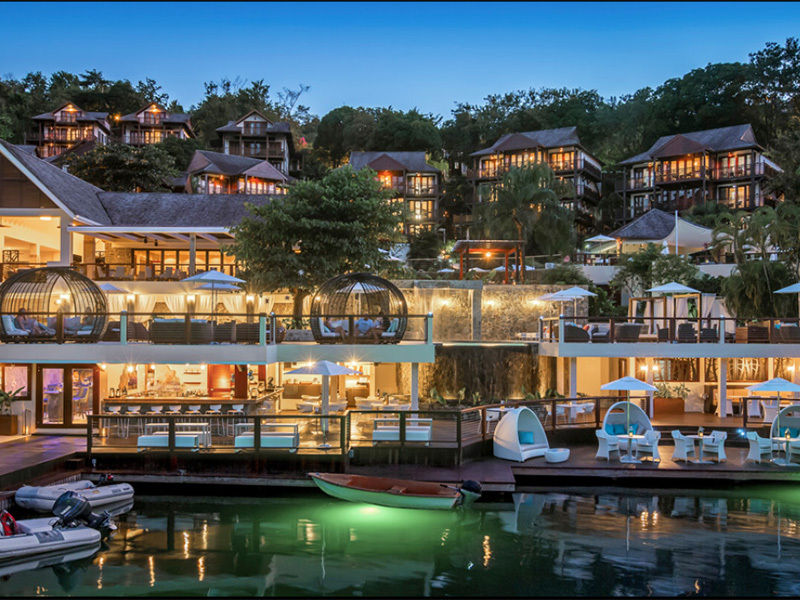 Near Castries in the north, the Marigot Bay Resort and Marina features 124 family-friendly rooms built along a hill overlooking one of the most idyllic harbours in the Caribbean. 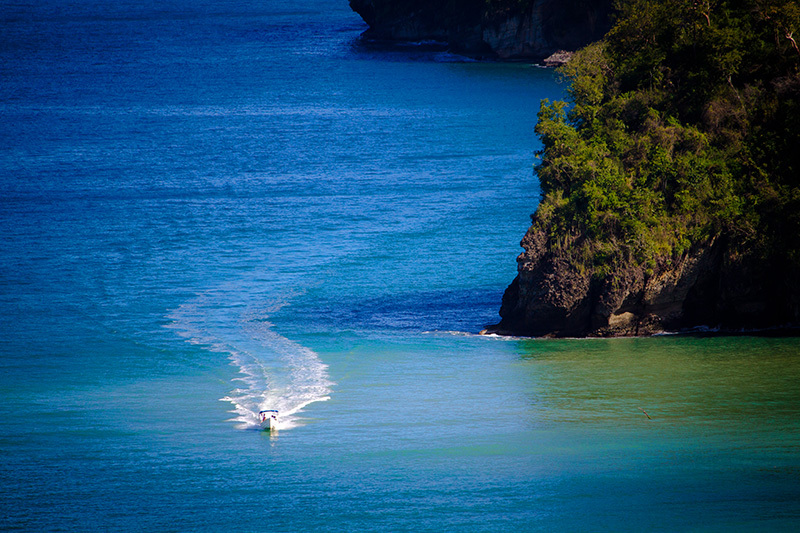 Many high-end yachts tie up here for shelter or to enjoy life on Saint Lucia. Movie fans may remember that Doctor Doolittle, starring Rex Harrison, was filmed in and around the bay. The Hurricane Hole restaurant was an ideal spot for a seafood lunch accompanied by a local Piton beer. The Hotel Chocolate, built close to the Ladera resort and with good views of the Pitons, is on the site of a cocoa plantation. Before an excellent lunch, a chocolate expert showed us how to grind cocoa beans into a paste, add cocoa butter and sugar and then grind some more. The result is a smooth liquid we poured into molds, and then cooled. After lunch we were presented with our own homemade chocolate bars. Our final hotel tour took us along a very bumpy road to a futuristic looking resort, the Canadian-owned Jade Mountain. 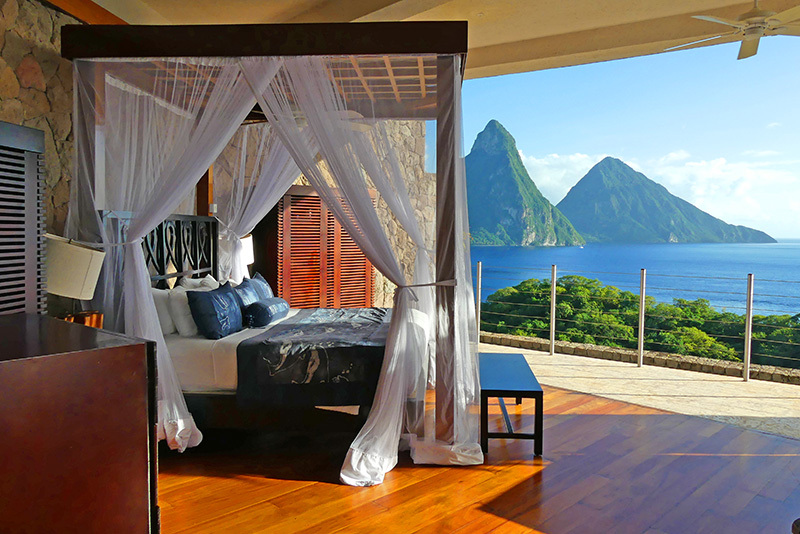 Built high on a hill, it offers stunning views of the Caribbean and twin Pitons from 29 suites called “sanctuaries. All have the open-air concept and private infinity pools. Guests have the option of arriving by helicopter. The top rooms, at 2000 square feet, command US$3,000 a night. A great resort usually offers great cuisine and Jade Mountain’s kitchen is overseen by James Beard award winner, Chef Allen Susser. We enjoyed an extraordinary dinner including fresh seafood, duck breast with foie gras and Mango Baked Alaska. 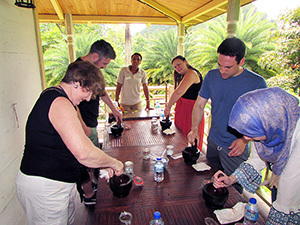 Vegetables and spices came from the resort’s organic farm. Dinner was accompanied by a perfect bottle of wine selected by the resident sommelier. 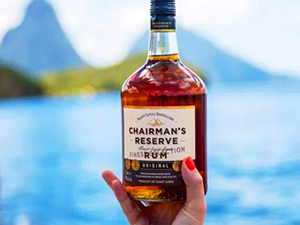 Before we left the island we wanted to check out its famous rum so a visit to the Saint Lucia Distillers was in order. The small distillery produces 25 different varieties of rum and rum products, including an innovative peanut product called Nutz’n Rum. After a tasting we purchased the Chairman’s Reserve Spiced (with added cinnamon, vanilla, nutmeg, clove and bitter orange).